PLS DO NOT DISTURB – IT’S MATCHING FAMILY PAJAMAS DAY! 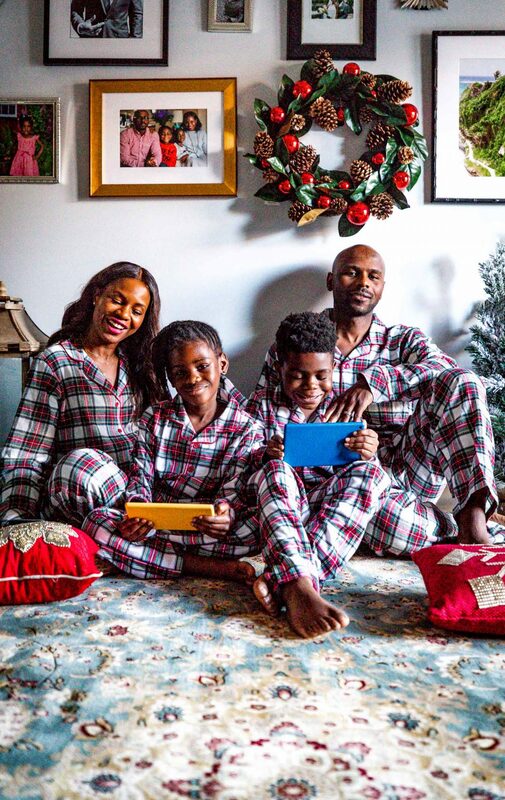 Wearing matching pajamas for the holidays is one of our family traditions and I have to admit, I absolutely love it. My kids look super adorable and get a kick out of it as well. It may not be my husband’s favorite look, but he’s in on the fun and indulges me anyways. I love how much togetherness picking out the same pajamas and getting huddled together to take our annual family photo fosters. It creates a deep sense of connection and my kids absolutely look forward to it annually. It also takes more fun than effort, which is essential to creating long lasting family traditions. Our family photo wall has become the perfect showcase of the many years of us twinning and winning for the holidays. 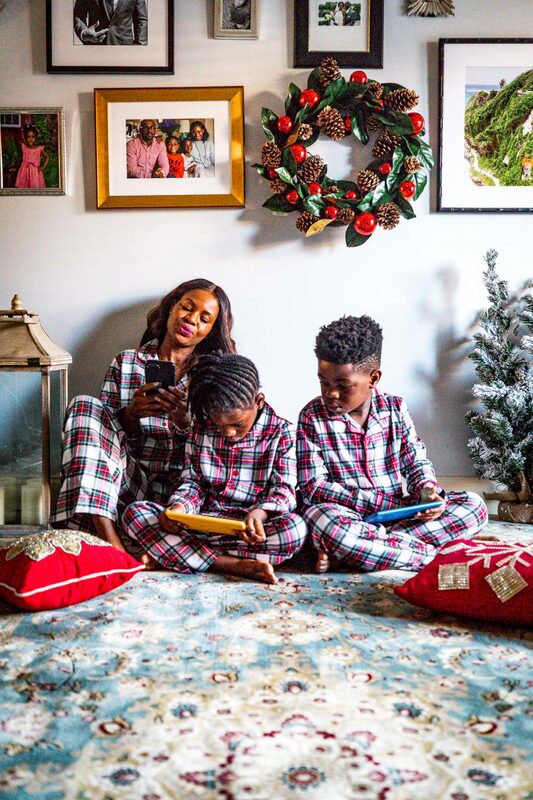 This holiday season, I partnered with Macy’s to find the cutest holiday pajama set for my family. I love plaid. Plaid is definitely the print of the holiday season, hence selecting this print set was a no brainer. The kids absolutely love the plaid too, they didn’t want to take off their new cozy sleep wear. I love the matching family pajama selection at Macy’s this year. 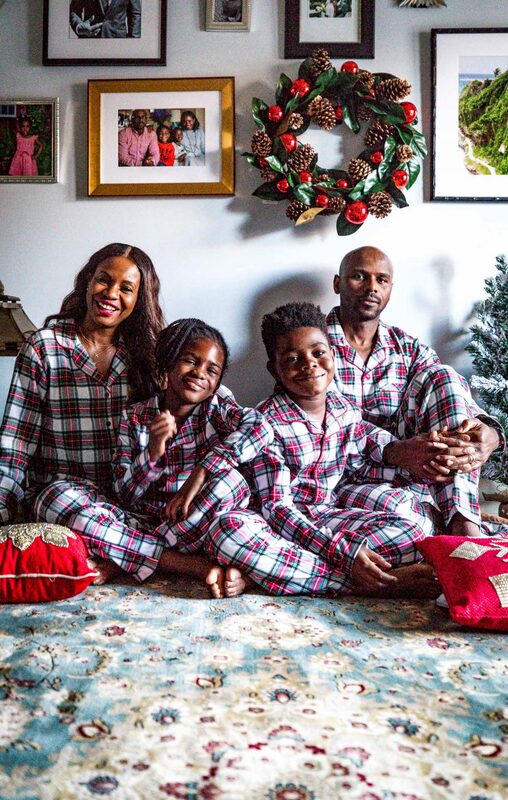 If plaid is not your forte, don’t worry, because Macy’s has a vast selection of holiday prints that will definitely get you and your family into the holiday spirit.